Miso is a fermented grain/bean paste of Japanese origin, used as a seasoning. 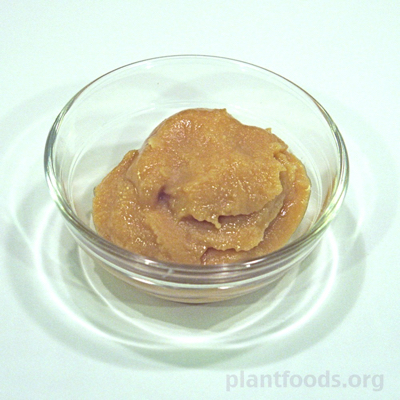 Miso is strongly flavoured and is available in many varieties. It is commonly made from soya, rice, or barley, or from a mix of these. The grains or beans are cultured with the fungus Aspergillus oryzae.